Hillel of San Diego encourages students of all backgrounds to form deep, personal connections to Jewish life, learning and Israel, through Jewish exploration, leadership, and a sense of belonging. Hillel of San Diego provides opportunities for students to build lifelong connections – to their Jewish life, to each other, and to Jewish communities worldwide. Its four programs – Hillel at UC San Diego, Hillel at SDSU, Hillel at Cal State San Marcos, and Hillel at University of San Diego – each take a unique approach to a common goal of inspiring and enabling young Jews to find their place in the world. 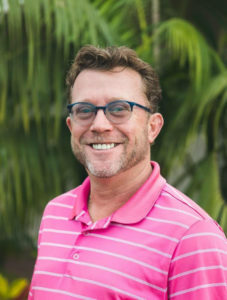 Rabbi Gary Ezra Oren is Executive Director of Hillel of San Diego and was the former Vice President and Dean of AJU’s Whizin Center for Continuing Education. Rabbi Oren is an alumnus of California State University, Fullerton where he completed his undergraduate degree, and Tel Aviv University where he studied towards an M.A. of Middle Eastern Studies. In 2008 he received rabbinical ordination from the Ziegler School of Rabbinic Studies. Prior to his time as Dean of the Whizin Center, Rabbi Oren spent 7 years serving as the Rabbi of Temple Aliyah in Woodland Hills, California.